Here’s a question to think about: If you do 100 trades using a typical strategy, how much could a half pip higher spread reduce your profits by? If you answered c) you are close to the mark. Incredibly after just 100 trades a 0.5 pip higher spread can drop your profit by ninety percent or more. When you think about it this is pretty strange. There’s a mass of help and tips available on improving trading strategy. Yet almost nothing on reducing fees. But as a way to improve your bottom line, minimizing broker fees can be quicker and much more effective than trying to improve a strategy. Reducing fees can potentially be one of the most effective ways to improve your trading profits. With most new entrants being classed as “short term traders”, this issue is especially significant. 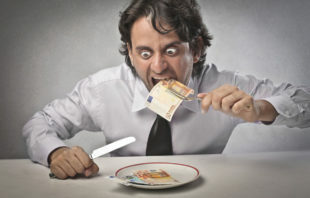 Because the more you trade, the more those fees will eat away at your bottom line. In other words your broker could be eating your lunch before you even see it. In this article I’ll look at how fees act as a drag on your strategy and how to minimize this by changing your trading habits. Financial markets are the ultimate competitive playgrounds. The line between profits and losses is wafer thin. Broker fees may seem small and irrelevant to start. However by the law of averages the more trades you do, the bigger the impact those fees will have on your profits. The impact of fees depends on the kind of trading strategy you are using. 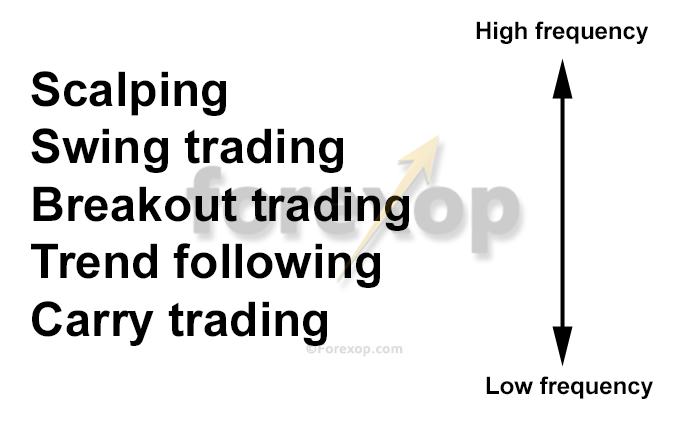 Figure-1 shows five common forex strategies ordered from high frequency to low frequency. Those most impacted by fees are the high-frequency/low-profit systems. 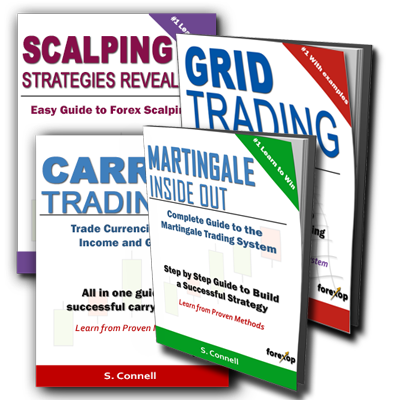 Scalping is the classic example of this kind. If you’re using a high frequency strategy then you will have the most to gain from minimizing fees. In this case even a tiny difference in spread can mean the difference between winning and losing. When you trade forex through a regular broker-dealer you are what’s called a “price taker”. You are not buying and selling from other traders as you would on a stock or futures exchange. You are buying from or selling to a dealer who’s making the market for you and other traders. While doing this, the dealer is adding markup. This quote means the dealer will sell to you at 1.1034 and will buy from you at 1.1030. The amount between these two quotes is the bid-offer spread. Or just the spread. Here the spread is only 2 pips. Which seems low by comparison. But this is in GBP. In percent terms it’s 0.0305% which compares closely with the EURUSD spread of 0.0363%. A common mistake people make when accounting for spread costs is that they only look at the winning side. For example, a trader calculates that his average win is 30 pips. His average spread is 3 pips. Therefore he deduces the spread cost to be 10% of his profits. This is only half of the story. Let’s say his average losing trade is 24 pips. His net gain per trade is 6 pips (assuming equal sizing and proportions of winners and losers). So this means the spread cost is actually 50% of his profits. If his trade average on the loss side slipped to 27 pips, the fees would eat up all of his profit. To test this I experimented with a typical expert system. I used the MetaTrader strategy tester to execute approximately 7,500 trades each in three different scenarios. The first scenario with a low spread of 1.5 pips, the second with a 2.0 pip spread and the third with a spread of 2.5 pips. The results are shown in the table below. With a 1.5 pip spread the strategy makes a profit of $7,632. With a 2.0 pip spread the strategy just about breaks even at $684. With a 2.5 pip spread the strategy makes a loss of $12,672. In all three cases, nothing changes other than the spread. With this strategy a 0.5 pip increase reduced profits by 91% after one hundred trades. While a 1.0 pip higher spread reduced profits by 266%. Even after a relatively small number of trades the spread cost is significant. The more trades, the wider the profit/loss gap becomes. The graph in Figure-2 shows this with the P&L charts for each of the three cases (click to enlarge the image). The example above shows that reducing fees can potentially be one of the most effective ways to improve your trading profits. To do this you first need to work out precisely how much you are handing over to your broker every time you trade. So from this my average gross profit per trade is $14.20 and my average fee is $4.20 per trade. That means the fee absorbs 30% of my profit on every trade. This is with just a 2 pip spread. In other words the broker is eating up 30% of profits right off the bat. That’s before I even get out of the red. Let’s suppose my account starts at $1,000 and I do 100 trades over 1 year. If my trading pattern stays the same my total fee would be $420. I need to beat the market and earn an annual 42% return of my starting capital – just to stay afloat and keep breaking even. How many people make a consistent 42% p.a. return? Not many. High frequency trading generates lots of turnover and therefore lots of fees for brokers. But it isn’t always good for those invested in the strategy. Some brokers will charge commission per trade. This is the convention in futures markets and with ECN brokers. So here rather than a spread you will need to work out your cost per trade as a percentage of your expected profit. The other significant cost to forex traders is the rollover fee. This fee is also spread; not between bid/offer prices but between interest rates on the two currency sides being traded. Usually your long currency credits you interest and your short currency debits you interest. The difference between the two is known as the carry. Let’s say AUDUSD has long and short daily swap values of 0.2 pips and -0.6 pips respectively. If you took both sides of the trade and held them for 2 days, the following would be the result. This is for a mini account. The spread between the swap amounts requires me to pay $0.80 (0.8 pips) in swap fees for these two trades. If you multiply this by the number of trades done per year, this will tell you how much you are paying in swap fees. This assumes your strategy buys and sells in approximately equal proportions. If not, just weight the swap amounts according to those proportions. The rollover fee often goes unnoticed. But for certain strategies and trade pairs it can add up to a large proportion of overall trading fees. As I’ve shown above, fees can have a big impact on the profitability of your trading. An increase of a few fractional pips in spreads can make the difference between a tidy profit and a thumping loss. This is especially critical for high-turnover strategies. So if you want to improve your bottom line quickly, this is certainly an area worth looking at. Use a competitive broker: It sounds obvious but many new traders are tempted by account bonuses and other sweeteners and don’t look carefully at fees. Changing to a completely different and unfamiliar strategy can be a daunting task. Especially if the one you use is one you’re comfortable with. Yet trading a high-frequency strategy may be an uphill battle most just can’t win over the long haul. If you use a low-turnover strategy such as carry trading, the number of trades you’ll need to execute will be much lower. Here the spread cost will be less of a burden. For example, if a carry trader expects to make a net gain of 100 pips on every trade. With a 2 pip spread, the fee is now just 2% of the total profit. How does one go abou getting an ECN platform? Sounds daunting. Not really. An ECN broker is no different to a regular broker except that the spread is lower and you’ll pay a commission per trade. Interesting! I never thought it this way the amount going in fees.